To access the app's camera, go to any day in your calendar that you want to add a second to, tap to add a snippet, and swipe right. 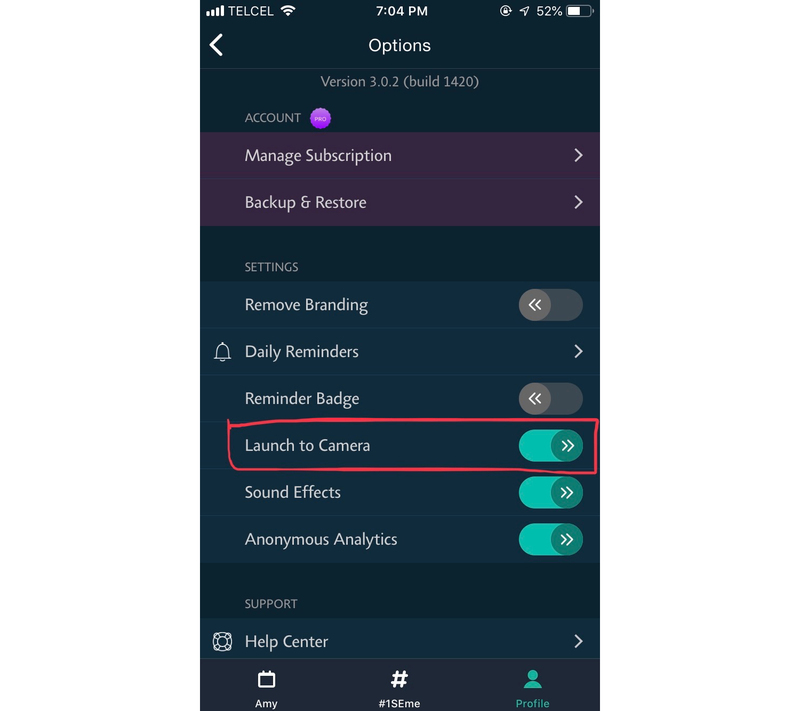 You can even launch directly to the app's camera from our notifications if you enable this setting! FYI: The second will be applied to the current day and the video will be saved to your camera roll. Access the whole video in your Photos app if you'd like.